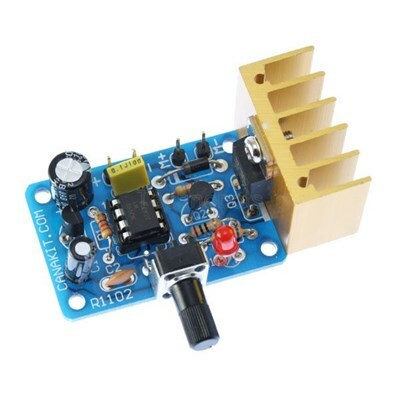 This DC motor speed controller uses the popular 555 Timer Integrated Circuit to generate a Pulse-Width-Modulated (PWM) output voltage with adjustable duty cycle in order to control the speed of a DC motor without sacrificing torque. The motor speed controller incorporates a high power MOSFET with a heat sink and can easily provide a continuous current of 5A to your DC motor or other DC loads such as high-power LEDs or LED strips for dimming applications. The circuit also includes an LED whose brightness varies proportional to the relative speed of the motor therefore giving a visual feedback of the current speed. The PWM frequency is approximately 140 Hz with the Duty Cycle adjustable from approximately 1% to 99%.